My first contact with podcasts harks back to 4 years ago when the first season of Serial was airing. The initial flirtation with podcasts quickly snowballed into obsession. With over two dozen of podcasts subscribed, I find myself plugged into a fascinating information matrix that's comprised of a dazzling diversity of topics discussed by interesting characters who I would not to get to meet otherwise in life. ‍This American Life, How I built this, Freakonomics Radio, Stuff You Should Know, Fresh Air, What Works, The Indie Hackers Podcast, and Criminal are some of the top podcasts on my list. Let me just say binge podcast-listening feels just as "dangerous" as binge Netflix-watching. One day, a thought hit me. What if I get to host my own podcast show? What if instead of passively listening, I will be actively engaged in discussions. Since then, I've been searching for a topic that I'm passionate about. Then it dawned on me that when Chris and I started working on CozyCal, we got the chance to meet many inspiring entrepreneurs who are working hard on building great businesses. Some of them are our friends, some of them are business owners we met online, and some of them are our beloved customers. I realized that there's no better way to capture and share the great stories, ideas and advice from people than by recording a podcast show. So I decided to marry my podcast passion project with CozyCal, because I want to share with you the stories, challenges and lessons of other business owners. And that is how the Refuel podcast is born. From successful E-commerce stores to early-stage tech startups, innovative blockchain data company to Etsy shop selling handmade stickers, I talk to business owners and entrepreneurs who are running all kinds of interesting businesses. On the podcast, you will get to and hear about how they started their businesses and the lessons they learned along the journey. You can listen to the podcast when you are commuting to work, jogging in the woods, cleaning your place or checking your upcoming appointments on CozyCal. 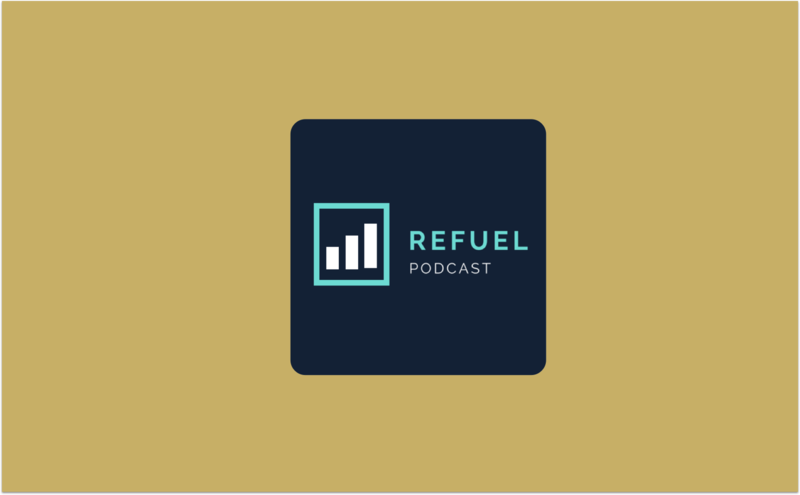 I hope that you will find a bit more inspiration, a bit more motivation and a bit more insight from the journeys shared by other business owners on the Refuel podcast.